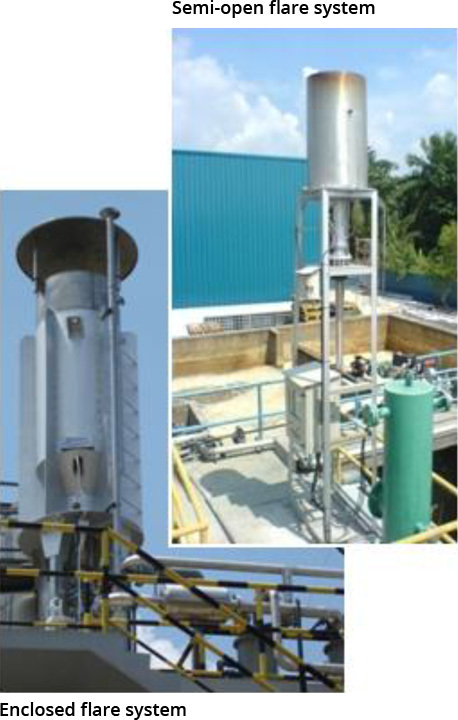 Biogas produced from anaerobic wastewater treatment plant can generate electric power. 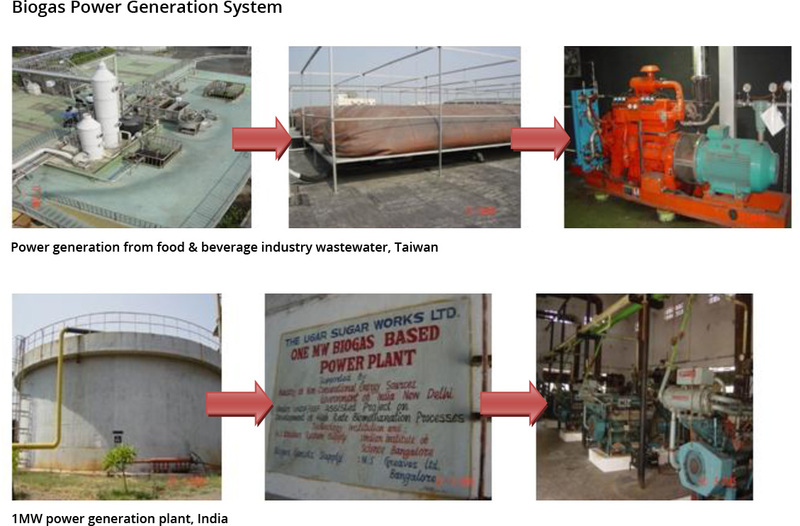 Besides, Biogas can be also used as alternative fuel for boiler, hot water generation etc. 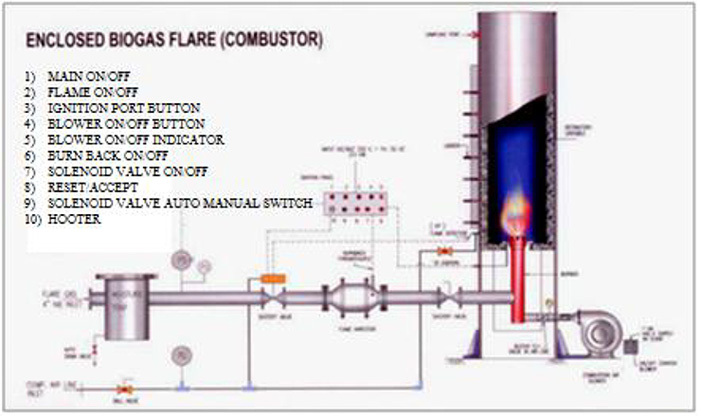 Excess of biogas is to be flared by high efficient combustor and burner for total organic carbon destruction - Enclosed/Semi/Open Flare system.